What is an Area Agency on Aging? There are 16 agencies in Michigan created by the Older Americans Act and governed by the Michigan Aging and Adult Services Agency. We advocate for older adults and caregivers, administer funds to support programs and services, and identify needs and develop plans to enable older adults to maintain their independence with dignity through person-centered services. What is Region 3B Area Agency on Aging? Region 3B Area Agency on Aging is a private non-profit 501(c)3 agency that receives funding through the Older Americans Act to provide information and access to services for older adults, persons with disabilities and family caregivers residing in Barry and Calhoun County. The 3B represents the two county region in Michigan of Barry and Calhoun represented by Michigan Aging and Adult Services Agency. Why do you also refer to the Agency as CareWell Services Southwest? In 2017 we filed a Doing Business as Certificate to use the moniker CareWell Services Southwest, which is the name you will hear most often. Legally, our name is Region 3B Area Agency on Aging, d/b/a CareWell Services Southwest. Who is eligible for services from CareWell Services Southwest? 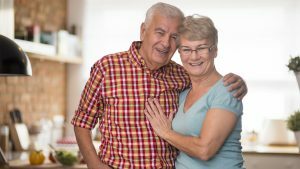 Any person age 60 and over who resides in Barry and Calhoun counties is potentially eligible for our services that are funded by either the Older Americans Act or the Older Michiganians Act. Persons over the age of 65 and younger adults 18 years of age or older with disabilities who meet income eligibility requirements and are medically eligible for nursing home placement may qualify for the MI Choice Home and Community Based Medicaid Waiver Program.